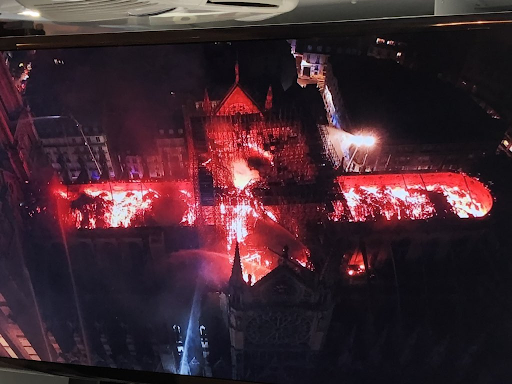 Probably one of those lazy French construction workers took a smoke break and tossed his match on to the roof by accident. It uh, it might be doneso. I had the same inner turmoil at post 54. Heh...don't resist for my sake. I wouldn't post goofy pictures of myself on here if I didn't expect the resulting ridicule. There's pretty much a big fire everywhere that isn't stone. Well, that's not good. We pretty much know from that that the insides are gone. 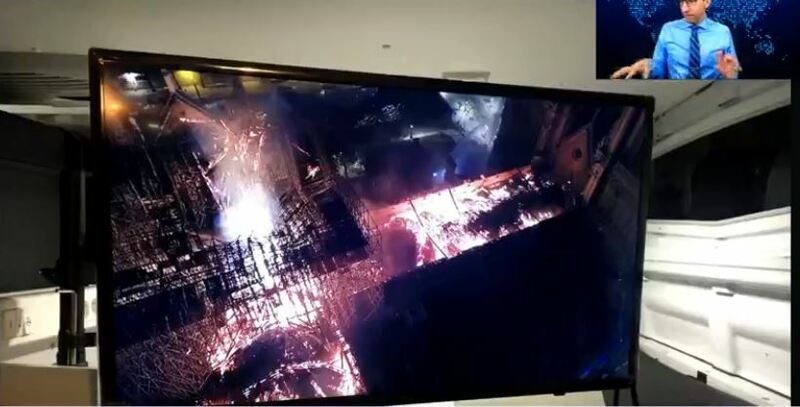 CNN is reporting that emergency crews are trying to save artwork at the back of the church. The fire hoses are really concentrating on the south wing, based on what I'm seeing on the live cams. I'm not seeing concentration on the north tower and don't see as much smoke there as I did earlier, but maybe that's just the angle of the camera. CNN is reporting now that the two front towers are safe. This thing is hitting me quite a bit harder than I would have expected. I was in choir in college, and a majority of the friends I still keep in touch with were choir friends. Met my wife in choir even. 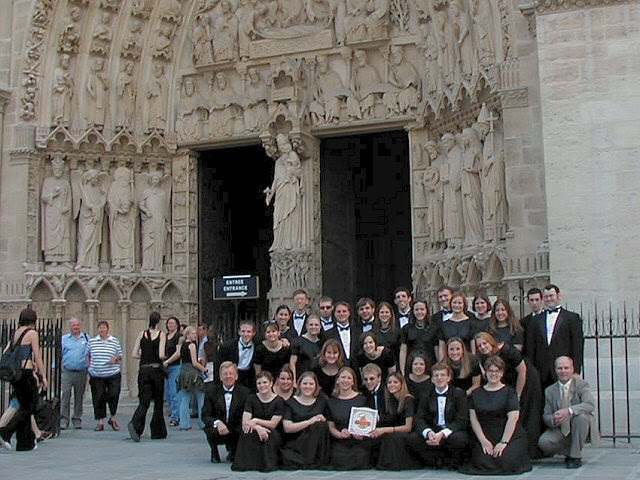 In 2003, we took a tour through the UK and France, and one of the things that they do at Notre Dame is allow college tours to perform a few songs there just during the day while people are visiting. For a 21-year-old kid, it was a pretty incredible experience, so seeing her up in flames is really tough. I mean 95% isn't total right? 5% is worth something. Right? The reporters on site are saying that the fires have dropped below roof level for the first time since the fire peaked. No kidding. It seems like they've got the towers and the outside walls left. I wonder what else will survive. I'm not sure what rebuilding means, though. Do you reproduce the stuff that was there on the inside? We'll see how the interior survived, but I don't think a 100 percent reproduction would really be the same. The exterior can be restored and has more or less survived other than the roof and steeple, but I'm really curious what will happen to the interior.